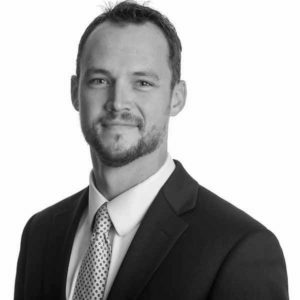 Andy joined the team at Market Street Wealth Management in 2016, and now serves as a financial advisor. His particular interests are working with clients approaching the retirement years creating in depth individualized holistic financial plans. Andy previously served as a pastor at Willowdale Chapel in Kennett Square for 12 years. From his former years as a pastor, Andy loves using donor advised funds to utilize tax planning strategies to keep more dollars in his client’s pockets coupled with more funds in the hands of their favorite non-profit. Andy enjoys the complexity of privately held stock, maximizing pension benefits, and bringing a sense of intelligent simplicity to the often complex financial decisions of retirement. He has a BA in Interactive Media Production from Bournemouth University in the UK, an MA in Bible from the Graduate School at Lancaster Bible College, and is currently studying to become a CFP – Certified Financial Planner. On a personal note, Andy grew up in England, and has moved back and forth every few years to the USA for much of his life. He resides in downtown Kennett Square with his wife of 11 years, and their 4 children, 3 of their own making, and one foster child who they are hoping to adopt. Andy loves anything to with athletics, and loves the intense challenges that team sports create. He coached middle school soccer for 11 years, ran a marathon without any training in his younger years, and is currently training for the elusive sub 20 minute 5k. You’re likely to find him mountain biking at White Clay Creek State Park on the weekends.